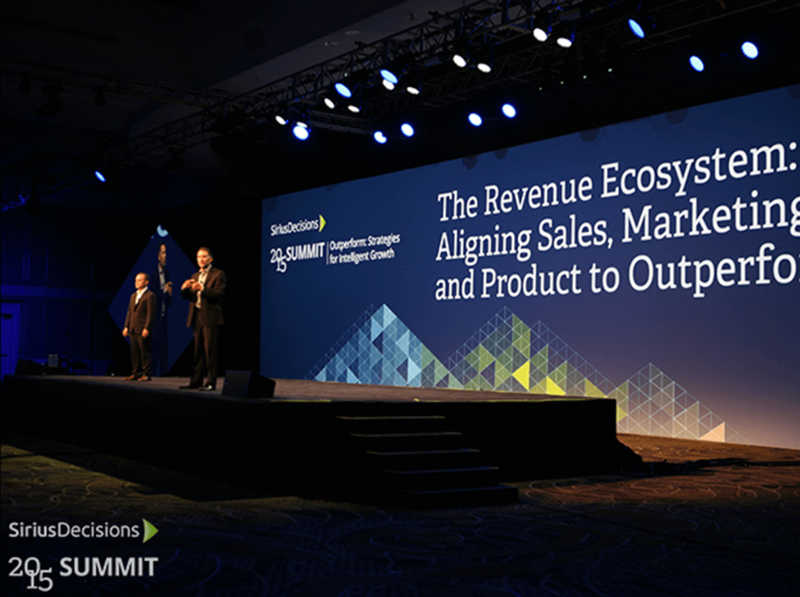 This spring JB Design provided non-stop design support for our client SiriusDecisions largest, most important conference, Summit 2015. The event draws over 2,000 elite Marketing, Sales and Product professionals from across the country for a 4-day, B-to-B meeting. We designed everything from a 100-page brochure, to a wayfinding signage system, to eye-catching landing page graphics, infographics and social media sharables, to Executive presentations shown on a 100 foot screen. The brand we built for the client in 2014 was put to the test in a wide variety of applications and environments. The result was a cohesive identity across all media and memorable branding. Here’s some of our work.